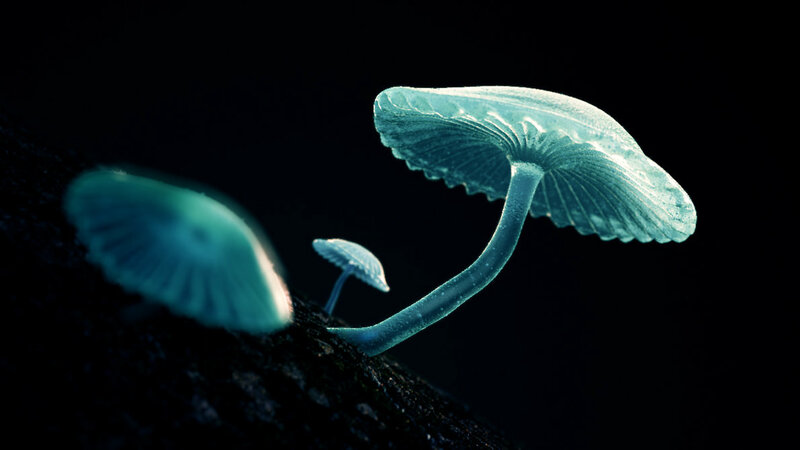 Home » Are Fungi The Earth’s Natural Internet? It might sound like something from a science fiction film like Avatar but there is increasing evidence to suggest that plants and trees form there own networks capable of communicating and sending resources. These networks can link hundreds of trees together at a time and are formed between the roots of trees and fungus networks known as myceli. Hidden under our feet is an information superhighway that allows plants to communicate and help each other out. It’s made of fungi. Now we’re not talking about the internet, per se, we’re talking about fungi. While mushrooms might be the most familiar part of a fungus, most of their bodies are made up of a mass of thin threads, known as a mycelium. We now know that these threads act as a kind of underground internet, linking the roots of different plants. That tree in your garden is probably hooked up to a bush several meters away, thanks to mycelia. This might just be the tip of the iceberg. It is quite possible we are dealing with a type of consciousness that we do not understand in the least. It is interesting to note that some types of mushrooms have profound effects on our own consciousness too. These networks can both take and give. Large trees known as mother trees can send food out to other trees. They send more food to there own offspring but can even send it to different species. They can send out chemicals to disrupt and interfere with the growth of competitors or eavesdrop on other plants to see how well they are doing. The network is very much like an internet in which plants can commit cyber crimes by breaking into the network and stealing nutrients from it. Some of these plants, such as the Phantom Orchid, get the carbon they need from nearby trees, via the mycelia of fungi that both are connected to. Other orchids only steal when it suits them. These “mixotrophs” can carry out photosynthesis, but they also “steal” carbon from other plants using the fungal network that links them. Below is a short Ted Talk about the networked beauty of forests – Suzanne Simard. It looks at how the networks plants use are similar to the neural networks in the brain. These ideas are changing the way we look at life on earth and its interconnectedness. Avatar: surprisingly accurate when it comes to trees. These plants are not really individual. Tomato plants can receive signals from their neighbors. While that argument rages on, other researchers have found evidence that plants can go one better, and communicate through the mycelia. In 2010, Ren Sen Zeng of South China Agricultural University in Guangzhou found that when plants are attached by harmful fungi, they release chemical signals into the mycelia that warn their neighbors. Tomato plants can ‘eavesdrop’ on defense responses. Pea aphids eat broad bean plants. It’s not just tomatoes that do this. In 2013 David Johnson of the University of Aberdeen and his colleagues showed that broad beans also use fungal networks to pick up on impending threats – in this case, hungry aphids. But just like the human internet, the fungal internet has a dark side. Our internet undermines privacy and facilitates serious crime – and frequently, allows computer viruses to spread. In the same way, plants’ fungal connections mean they are never truly alone, and that malevolent neighbors can harm them. The internet also has its criminals and pirates. Plants have to compete with their neighbors for resources like water and light. As part of that battle, some release chemicals that harm their rivals. This “allelopathy” is quite common in trees, including acacias, sugarberries, American sycamores and several species of Eucalyptus. They release substances that either reduce the chances of other plants becoming established nearby, or reduce the spread of microbes around their roots. But maybe plants can get around this problem, by harnessing underground fungal networks that cover greater distances. In 2011, chemical ecologist Kathryn Morrisand her colleagues set out to test this theory. Marigolds are distinctly unfriendly to their neighbors. A black walnut tree (Juglans nigra). Trees and other plants are linked underground.